It’s been on my house wishlist for a few years now, but with having limited finances when the children were preschoolers, it’s been a pipe dream for a while. I would love to convert the loft space in our Victorian semi. Lots of other homeowners have made this conversion on our street, even our direct neighbours. Everyone does it slightly differently, but each seem succesful in their own way and I would love to convert ours into another bedroom. Ideally, I would create one big space, then add a dormer to allow us to include a small shower-room too. We only have one small bathroom, so including an extra shower and loo would be a godsend in a house with 3 women. Then, I would make this our main bedroom, moving myself and hubbie up there, then daughter no.1 could have our old bedroom, with daughter no.2 moving into the second big bedroom. Her current room is tiny, so that would be converted into my office. We would then be able to put visitors in a double bed in the large bedroom, and if we have bunks in the second room, both girls could share. It would be the perfect solution as the girls grow older and want to have sleepovers too. 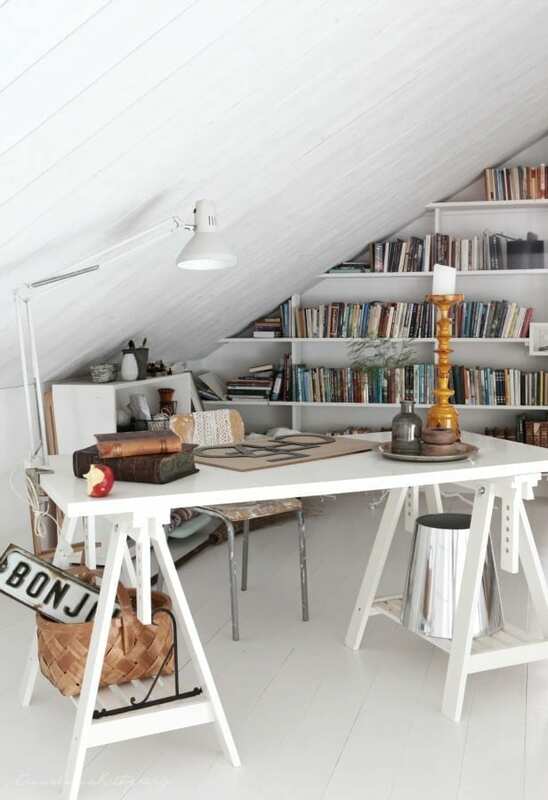 These 5 images I’ve chosen to illustrate how stylish an attic space can be, are among my favourites. Admittedly, a few of them are rather ambitious for my loft ideas, but I love taking inspiration from aspirational interiors. The one issue that I face, is how to allow the right amount of light into the room. One of the reasons we chose our current home, is because of the stunning amoung of light the huge windows allow. Of course, the answer would be to install extra windows and I know that VELUX are renowned for their high quality. When the time comes, I know I’ll be browsing the VELUX Shop to find the best option and to give me ideas on how to make the best of light. Of course, there are lots of other ways to ensure the space looks light and airy, and that will come down to the interior design. These ideas are quite varied, both colourful and simple and serene. The design depends on how you intend to use the space, and who will be spending their time there. 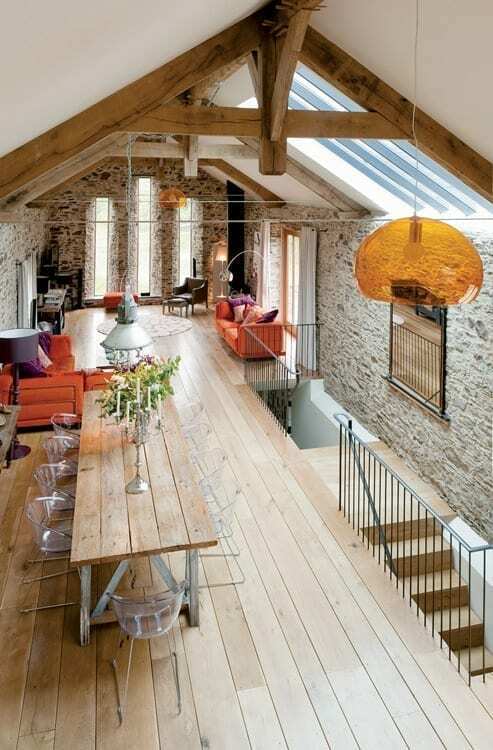 Converting the loft is a great way to add value to the home so it’s well worth the outlay. 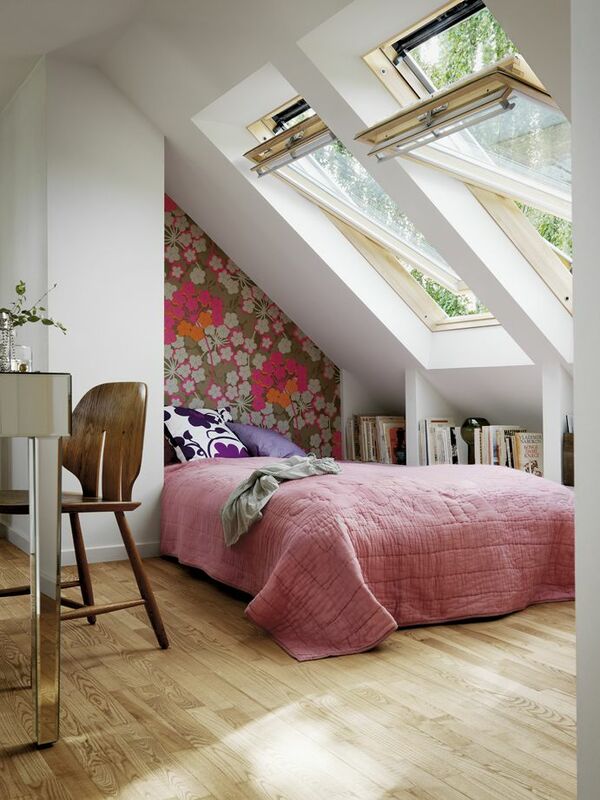 Have you converted your attic space? I love the first two Jen especially. Beautiful, bright, airy and contemporary. That bottom desk! That is the one I want for my office!!!! woow, that’s look beautiful !.. i hope i can get one room like that,, it seems so cozy with all of that ornaments and color.. I am so with you on the loft conversion, would love to do exactly the same as you describe at our house. Some lovely inspiration there! Thanks Antonia. I will keep dreaming 😉 Maybe someday soon it will happen! Wow! That last one looks perfect for me. I could always use the space to store more books. And a dedicated reading space wouldn’t go amiss either. Pingback: Would you Convert your Attic Space? Wow inspiring! i hope i can buy a house with an attic so i can decorate and design it like this. Such a Beautiful design. I fell in love. 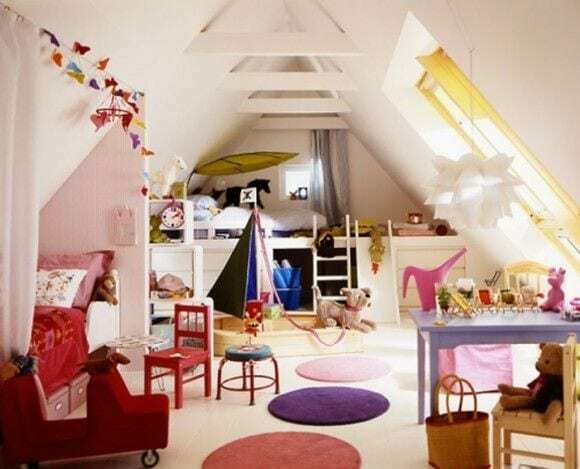 Pingback: 23 Spectacular Design Ideas For Unused Attic Space - Homesthetics - Inspiring ideas for your home. Pingback: Specialist Wallpaper Hangers are wallpaper hangers, working in the London area and surrounding counties. Are you considering a loft extension? - Specialist Wallpaper Hangers are wallpaper hangers, working in the London area and surrounding counties. Some fantastic images you’ve posted here. I like the office loft conversion with the bookshelf – that’s probably because of my ever growing collection of books! lol. Can you tell me where did you find the paperwall brown with white orange and pink flowers on the second design?